August | 2014 | Building Solutions. Wow! Where Do I Begin? NACDB’s member, Worlds of WOW! has the opportunity to work with hundreds of churches across the United States. In walking through the process of theming Children’s Ministry spaces from the very first conversation to the final installation of ‘wow’, they found there is a commonality in what each ministry leader asks – where in the world do I begin? How much does this cost? How do I help everyone else understand the value? There are a few things to consider when beginning the process of creating an intentionally inviting environment. Do You See What I See? Understanding the long-term goals for your space and all that influences its use is a great place to begin. Is your space currently designed to absorb more children easily or will there be a need to be flexible in the way it is used to allow for changes due to growth? Does your curriculum have a large influence in what you would like to communicate through your theme? Do you want to create spaces that cultivate outreach opportunities? Do your homework. There are a lot of theming companies out there, so do your homework! Begin by interviewing them. How long have they been in existence? Longevity can provide great reassurance that the company knows what they are doing. How many churches have they served? A deep and diverse portfolio will communicate the true abilities of the company. Do they have the knowledge, ability and resources to incorporate all of your design needs? So many churches are looking beyond the paint on the walls; they want indoor play structures, fun and engaging teaching stations, out-of-this-world 3-D pieces. Don’t limit your vision because of another’s inexperience or lack of resources. Request a list of references and take the time to call them, and if possible, go visit their completed projects. This will give you a better sense of who you are considering for such a personal task. Know what matters most to your ministry and ensure the prospective company is aligned with you. Whether in person or over the phone, truly take the time to understand who you are considering working with. What’s the Plan Stan? If you are building a new building, it is best to connect with the prospective company sooner than later. To fully translate the vision you have for your ministry, the theming company should help you evaluate the design from a holistic approach. Don’t limit the design to simply what the walls should look like, but incorporate the flooring, the lighting, ceilings and any other details that will affect the character of the space. Much of the design needs to be communicated to the architect and general contractor throughout the building process to ensure a fluid impression and adequate timing. When remodeling your children’s ministry a different approach is taken since the space with which to work already exists – texture is already on the walls, rooms already express a particular character, doors, walls and ceilings are already intact. This is where having done your homework really helps! Experience truly does matter when evaluating a space from its current composition. There are specific techniques and approaches to each and every make-up and material within a space. A company with great experience will be able to understand the vision you have and direct you through the design as it relates directly to the nuances of your ministry space. Neiman Marcus Vision, Target Budget. When you have a Neiman Marcus vision on a Target budget, our encouraged approach becomes more about focus areas than an attempt to touch every square inch of the ministry. One suggestion would be to begin your theme with a dynamic check-in that includes fun and engaging elements, connective but simple theming down the hallways with a focal wall of color inside the rooms. If you have a worship area that is a key component to reaching the children in your ministry, then invest your dollars with an over-the-top stage setting that keeps the kids captivated and engaged. The idea is, focus your dollars for maximum impact. The Kitchen Sink. Excitement abounds when a ministry has the green light and corresponding resources to transform their children’s ministry space – we love that and celebrate that. However, it’s a good idea to tap-the-breaks a bit and slow the process down. Every project should be a partnership – the kind of relationship that carefully collaborates and methodically plans what makes most sense and what is most beneficial to you, the church. Be sure to ask: what will have the greatest impact, what is functional, what is the overall vision? Get Out Your Paintbrush. Sometimes the most challenging part of the theming process is not in choosing which paint color to use but rather transferring your desire, vision and passion for your ministry’s transformation to the church board and body. Why do we need to do this? Is this a wise investment? Can we get volunteers in-house to accomplish this same task? What impact do we really believe this will make? This can be a difficult conversation to have. Working with a company that can confidently support you in painting this picture is not only necessary it’s invaluable. The Proof is in the Pudding. After the ‘wow’ has been installed and enough time has passed for the ministry teams to settle into their new space, we circle back around to ask the question – what has been the impact? By no means is this based on scientific research but this definitely puts numbers to what we already know to be true. Ministries see about a 35% increase in child attendance numbers and a 99% increase in volunteers. That is 99% increase! That is incredible! One Executive Pastor we interviewed mentioned that in all of his research and planning, the impact theming would have on his volunteers was not something he was anticipating and was completely blown away by the ownership he saw in those stepping up to serve. The proof is truly in the pudding when it comes to considering the impact. At Worlds of Wow! Our desire is to build long-term relationships on a foundation of trust and experience. We have enjoyed the tremendous blessing of serving churches for over a decade creating ridiculously cool, fun children’s ministry spaces. Because so many of us have come to Wow having previously served in ministry roles, we look at theming from a very personal and spiritual perspective – we truly understand the process churches go through in making this ministry-changing decision. Worlds of Wow! is the industry leader in making an impact through children’s ministry theming and indoor play design. 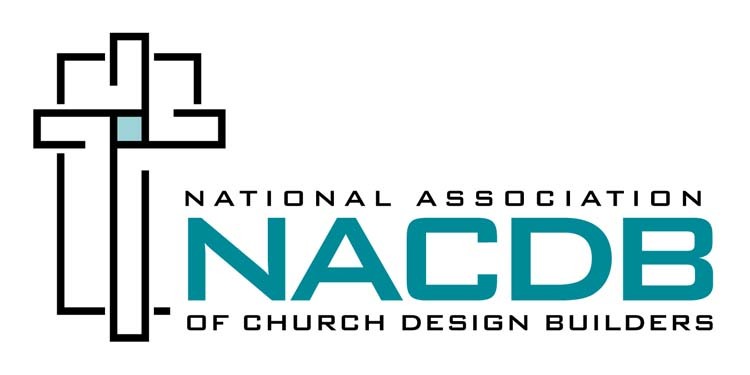 They are also a member of the National Association of Church Design Builders.